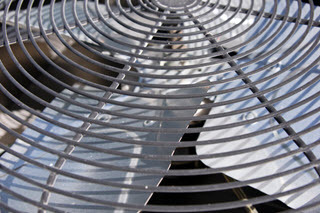 Result Home Services offers the most affordable air conditioner replacement cost In Miami Florida and surrounding areas. Our HVAC technicians have the knowledge and experience to find the best air conditioner for your home to enhance your energy efficiency, indoor air quality, and comfort. Not only can we find the best unit that meets all of your cooling needs, but we can also find a unit for your home that fits within your budget. We know the importance of getting through the hot Florida weather and so let us find an air conditioner that suits your requirements. 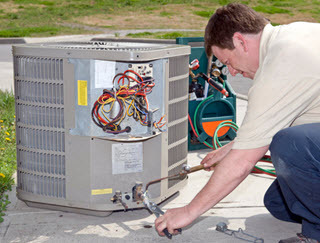 We also offer a full line of HVAC services including AC tune-ups, repairs, and installations. Take advantage of our free estimates and 2nd opinions by calling our office today. The price of a new air conditioning system is not trivial so it is important to be careful if you are planning to purchase one. This will help you avoid costly mistakes. Be clear about what features your home comfort requires and pick the right model based on these specifications. For instance, one aspect that is extremely important is the size of the central air conditioner. It has a massive effect on its performance, energy efficiency, lifespan, and many other features that crucial. In this article, we will discuss the importance of size when finding an AC for your home. Finding an AC of the right size seems difficult but it is necessary. Failing to match the size of the system to the size of your home will lead to a number of headaches. An undersized unit will not cool the house as much as it should. You may save some cash on the purchase but you will not find relief during hot summer days. On the other end of the spectrum, an oversized AC is just as bad. The acquisition cost is higher than on a unit that matches your home. The unit will also consume energy at a faster rate than is necessary. 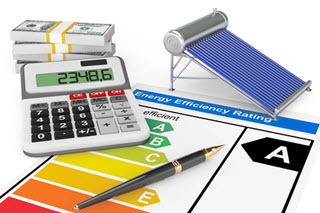 You will pay more every month for your utility bills. A short cycling air conditioner usually has a decreased service life. In addition, the short cycling time will prevent the system from effectively reducing the humidity inside the home. The unit stops its cycle once it reaches the desired temperature even if it is still quite humid. This will leave the residents feeling hot and uncomfortable. With the right size, you won't have to deal with any of these issues. to find their ideal AC match by providing detailed specifications for each model. These can get a bit technical but they are fairly easy to understand. For example, there's SEER which is the Seasonal Energy Efficiency Ratio. Compare values between models. The higher SEER ratings indicate better ability to convert energy into cooling comfort. Another common abbreviation is BTU which is short for British Thermal Unit. The amount of heat necessary to increase the temperature of a pound of water by 1 degree Fahrenheit is 1 BTU. This is also equivalent to 1,055 joules. It represents a system's cooling capacity. AC specialists will focus on these two things when selecting a unit for residential use. Note that models with a high SEER rating will cost more than those with a lower figure. People still prefer the former over the latter. After all, you can regain the difference in cost through the reduction of energy consumption, or home cooling costs. Experts use different methods when trying to determine the right AC size. If they need to come up with a value fast, then they can get a ballpark figure by multiplying the square footage of a house by 30, dividing the product by 12,000, and subtracting one for the final value. This will suffice in ideal conditions. However, most cases are far from ideal. Better results come from considering the ceiling height, the amount of shade from the surroundings, the orientation of the house, the climate in the region, and other important variables. The best way to go about this is to let a computer crunch the numbers for greater accuracy. Professional air conditioning contractors offer this service to their clients. They utilize the Manual J calculation to provide reliable figures. In order to do this right, they must factor in the square footage, the number of windows, the number of occupants, and other pertinent details about the house. Do not make an AC purchase without a thorough consultation with an expert. Give Result Home Services a call when you need skillful and professional AC services for your home. Take advantage of our free consultations and estimates to learn more about the air conditioning options that are suitable for you. We will make sure that you get a matched system that will run efficiently while keeping you comfortable even in the hottest days of summer.